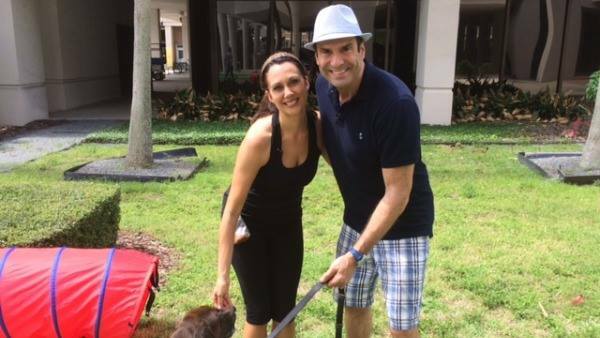 Power walking, jogging and swimming are all things I love to do with my dogs. Dog agility, however, was a foreign concept. I have two mixed breed dogs who are both ten years old and both didn’t really seem the agility type. They aren’t zippy Jack Russell Terriers or lightning fast Australian Shepherds. Abe is a lab mix and Chico is my chihuahua mix on steroids. 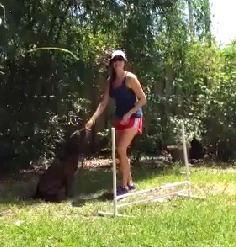 With all of that being said, in late 2010, when I was about five months pregnant, I put all of my preconceived ideas about what dog agility was aside and decided to give it a try with Abe. We headed over to a dog training facility for a private agility session. Within the first ten minutes, my boy Abe was running through a tunnel. Then over jumps. He even weaved in between a few poles! WOW! Abe was having the time of his life. And, you know what? So was I. We now practice agility in the backyard. (Check out a video here) And, no, I don’t have an acre of land. Not even close. We have a smallish yard but are able to fit a tunnel and two jumps back there. The jumps are made out of PVC pipes (so inexpensive!) and the doggy tunnel is something you can find online. Abe will jump and tunnel for good treats or a ball (even better). Here we are on the set of Daytime TV. 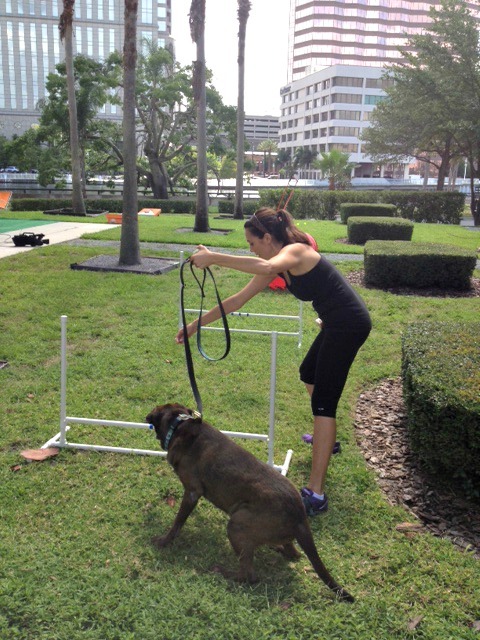 Dog agility is a form of exercise that most dogs can be trained to do. According to the United States Dog Agility Association, over 150 breeds (and mixed breeds too) are represented in agility! Many pets and their people compete in agility circuits across the country and others, like Abe and I, do it for fun in their backyard. No experience necessary! Many people take agility classes at a training facility but you can really practice in your backyard with the right equipment. Start by using a leash and desirable treats to train the course. We are on the set of Daytime TV. 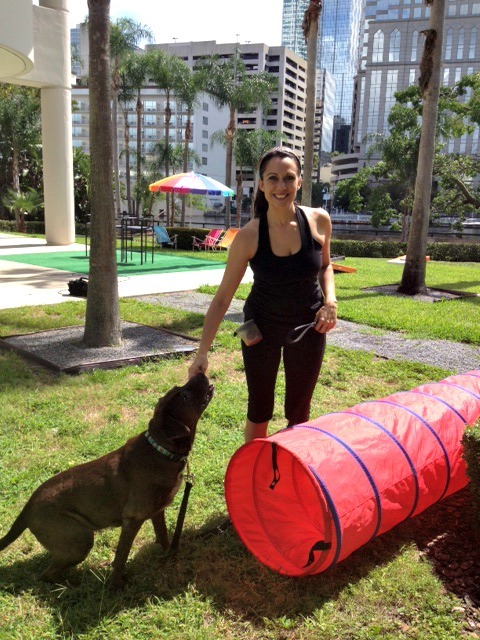 To get started with agility, purchase or build equipment or go to a training facility that offers dog agility. You will need a leash, collar, high end treats AND your dog must already know their basic commands (sit, stay, come, etc.). Most importantly, talk to your vet to ensure that your dog is healthy enough to participate in the sport. And, for those of you wondering about Chico, he participates too but is more of a newcomer. We will share pictures of him soon! Life is an adventure! Just grab a leash and explore with your dog!! http://www.didogs.com/ Big thanks to my friend Carolyn, owner of Davis Islands Pet Care for the generous use of her agility equipment.